As a swell moved in from the west, big waves pounded the Northern California coast on Saturday. 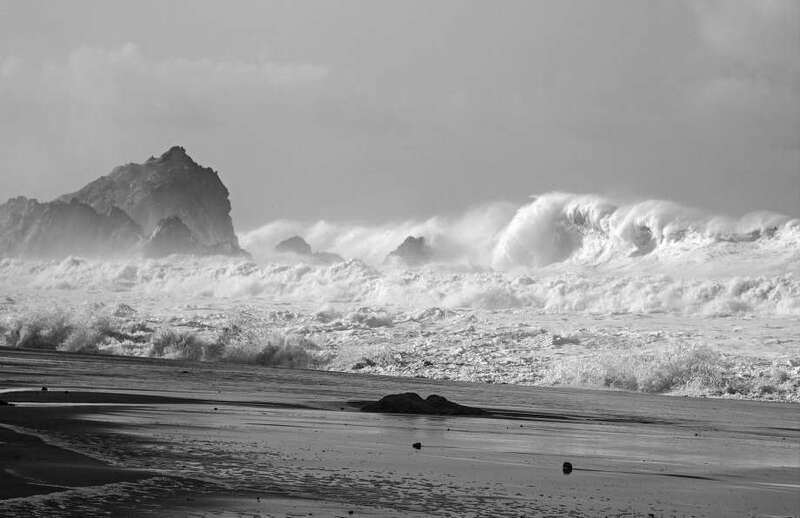 The National Weather Service (NOAA) buoys recorded waves from 20 to 30-plus feet between Cape San Martin to the south and Point Arena to the north. Monterey Bay recorded the largest waves it has seen in 30 years with the swell reaching 34.12 feet, well over 10 meters, at one point. The previous record was 32.8 feet in 2008. The third and most powerful in a series of storms pounded Southern California, dropping nearly 4 inches of rain south of Los Angeles, flooding freeways and raising concerns about damaging mudslides. Commuters could expect a messy drive to work Monday in several areas, with rainfall expected to ease slightly but not taper off until Tuesday. Flash flood watches and warnings were in effect for swaths of greater Los Angeles and across Southern California where multiple roads were closed Sunday or blocked by fallen trees. The National Weather Service cautioned that the system was expected to gain strength into Sunday evening and could end up being the strongest storm in at least seven years. California has been swamped during a wet winter that has brought plenty of rain and snow after years of drought. By early evening, the rainfall had set new records. Long Beach Airport received 3.87 inches of rain by 5 p.m., breaking the all-time daily record for rainfall. Los Angeles Airport got 2.78 inches of rain Sunday, another all-time daily record. 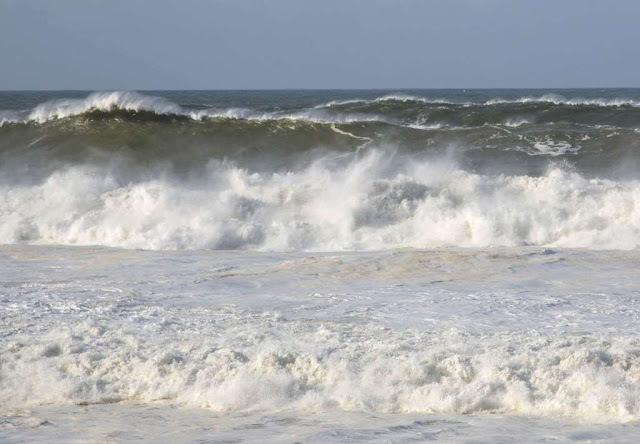 On the 5th of February off Penzance in the southwest of the UK, A buoy close to Penzance recorded a wave of 22m (75ft) That was the winter of the superstorms in the UK. I am a storm chaser & went to my childhood home of Harwkers cover & Pentire point to record data. I recorded an unofficial wind speed of 109 mph & wave heights exceeding 50 foot. I was stood in the old quarry out on Pentire point & that fat bottom level is about 50 foot above the water & the wave heights frequently exceeded the line of sight to horizon leaving running up the track to avoid the incoming swells. I dont think i will ever witness a storm first hand as powerful as that again. On the "5th of February" off Penzance in the ?!!? quality instrument to measure wind speed for an accurate weather result its weather station and gadget instruments should be guanine and have ability to give accurate data, one of the main gadgets for weather stations is its wind meter wind will measure which can perform accurately, because wind speed and direction is very important so we need to collect them from a reputed stationery store.